We’ve talked about using aloe vera gels for your face but many people have been wondering the proper way to apply aloe to the face in general. There are many solutions you can make at home and we have a few articles pertaining to the subject of making your own already. Before you start to apply your own aloe gel to your skin, decide which aloe gel or juice. It’s actually a lot simpler than you might think. Start by completely washing your face with warm water to get rid of all the dirt and grime from the day. Next, whichever type of aloe you want to use, gel or juice, you will simply take that solution and rub it gently on your face in tiny circles until you have the entirety of your face covered, like a mask. Once the mask is dry, you’ll peel it off with clean hands then wash your face in warm water. After you rinse, make sure to dry it with a towel, using the patting method. 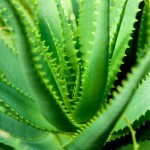 Aloe vera is very strong and will sink deeply into your pores. You want to be as gentle as possible when apply, washing, and drying the solution on and off your face. 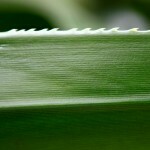 After using any aloe vera face mask over a period of time, you will develop your own system for maximum efficiency. If you’re wondering “what happens if I leave the mask on for longer than 20 minutes?” Don’t worry. 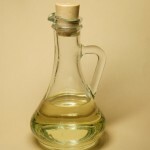 There are no real harms to leaving a small solution of aloe vera on your face. The aloe vera face mask simply dries, making your skin feel stiff (which will help you remember to take it off).